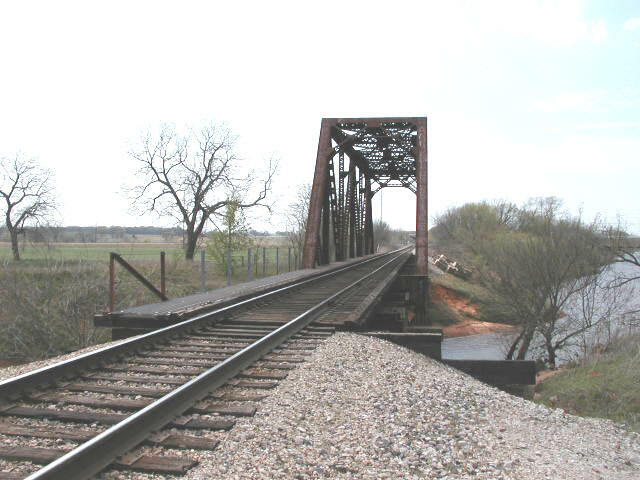 This riveted thru Warren truss stands just south of I-44 near the US 177 junction. The bridge still carries traffic and is estimated at 150 feet long. 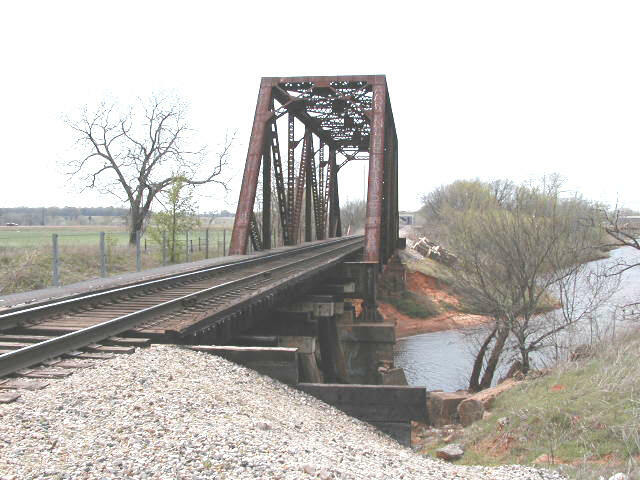 The bridge was probably originally build by the Frisco Railroad. Above, a view of the bridge looking west. 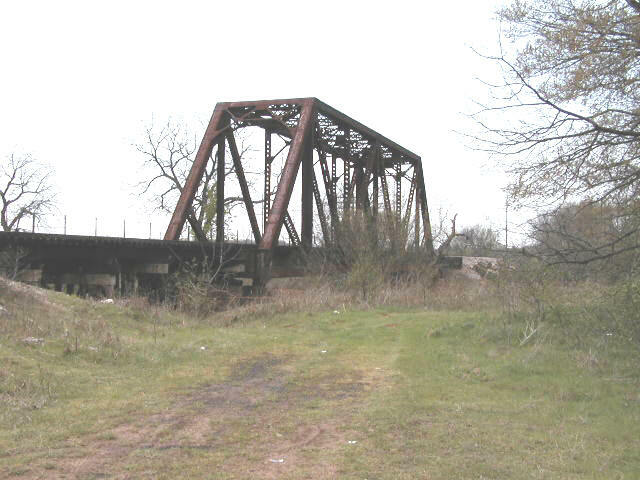 A trestle approach serves the east end of the bridge. Below, another view of the bridge. Below, a slightly more angled view through the bridge. The bridge is six panels long.